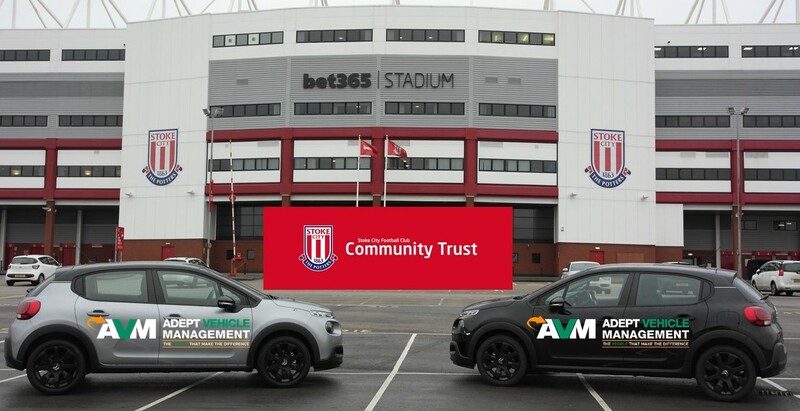 A hospice and Stoke City’s community team are on the road to success with the support of North Staffordshire based Adept Vehicle Management. 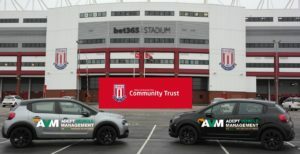 The Chesterton based business has backed the Douglas MacMillan Hospice and Stoke City FC Community Trust by providing cars at heavily discounted rates. The Dougie Mac is using its vehicle to help raise awareness of its fundraising lottery, while the football club has two cars supporting the Primary Stars team, working across North Staffordshire schools. 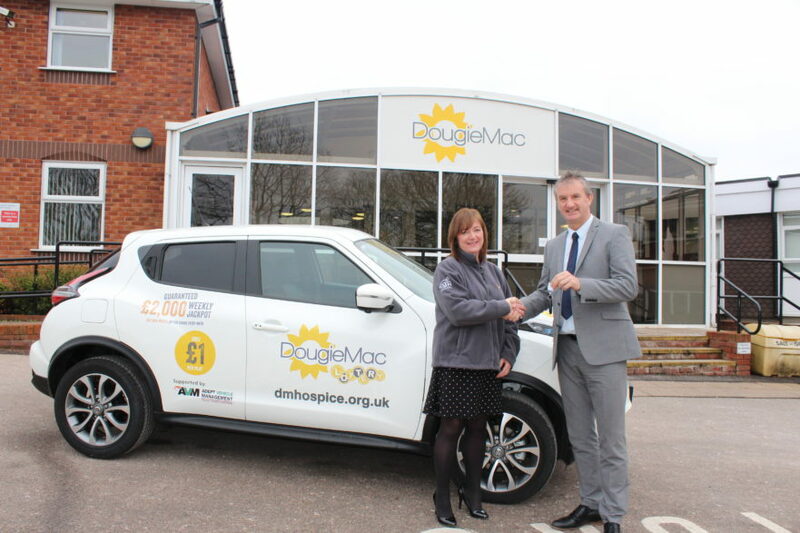 Donna Adams, Head of Fundraising and Lottery at the Dougie Mac, said: “We undertake a large amount of external activities to help raise awareness of the Hospice’s Lottery fundraising and the use of a car is required. One of the ways in which we are proud to work closely with Adept Vehicle Management is to use their services to lease a vehicle. Mark Pedley, a Director at Adept, added: “It is a privilege to be able to support much needed community projects as we are based in North Staffordshire and our team is drawn from the local area. Adept Vehicle Management are award winning business fleet specialists. The company has established unique partnerships with its customers, including embedding vehicle fleet managers within their customers’ businesses. Smart use of technology has helped drive growth at Adept which was founded in 2002 and bought by Directors Carl Cumbo and Mark Pedley in 2018. To find out more about Adept Vehicle Management please go online to www.adeptvehicle.com.